The Research Symposium is a conference style showcase of student undergraduate and graduate research across multiple disciplines. This event includes poster and presentation sessions as well as speakers from all academic disciplines. 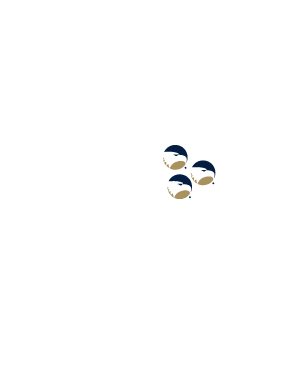 At Georgia Southern, students work side by side with faculty to make valuable contributions to their fields of expertise. The Symposium provides a venue for the campus and the community to come together to celebrate these accomplishments and to recognize the outstanding scholarly achievements made by our students. In keeping with our mission as a comprehensive university with a strong presence of undergraduate research, we are inviting Georgia Southern students from all disciplines and levels to participate in this event. 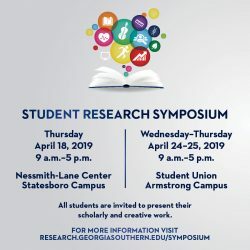 The Georgia Southern Research Symposium is only accepting applications from current Georgia Southern University students. 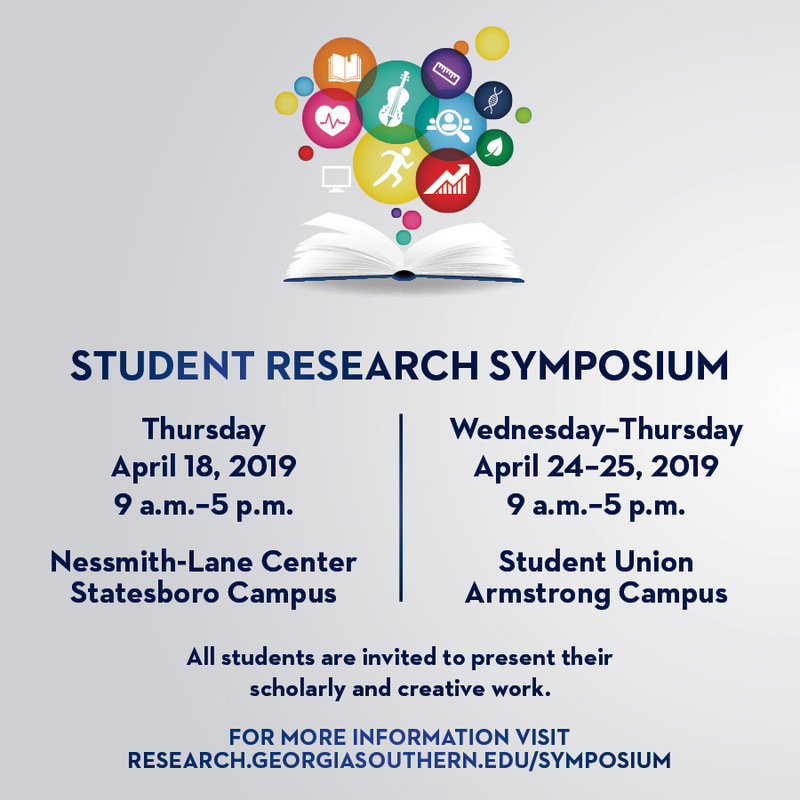 Statesboro Campus Symposium will be held on April 18, 2019 while Armstrong Campus Symposium will be April 24-25, 2019. The deadline for submissions has been extended to 11:59 pm, March 10th, 2019. Submissions are closed for 2019.